The Duke of Cornwall’s Benevolent Fund has invested in the installation of a number of computers for the Wadebridge & Bodmin Foodbanks. Providing access to a computer in a safe and secure environment will enable the Foodbanks’ clients to create and update their C.V.s, gain computer skills, search for employment and apply for jobs online. Many of the Foodbanks’ clients live in poverty and are unable to fund their own computer. As a result many will struggle to comply with the Universal Credit reform without this facility. It will allow clients to complete the claimant commitment to job search for up to 35 hours per week. 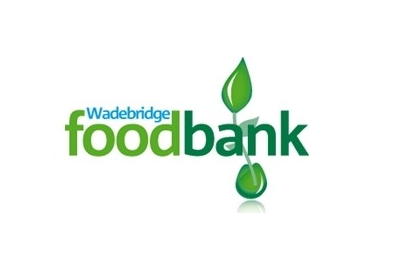 Wadebridge & Bodmin Foodbanks support local people in crisis by providing three days’ worth of nutritionally balanced food in exchange for a Foodbank voucher. The Foodbank also provides free hot drinks, a listening ear and signposts clients for further support to help break the cycle of poverty. The Foodbank has seen an increasing demand for emergency food and distributed 26.5 tonnes of food in the last twelve months and is expecting a further increase in demand as Universal Credit is rolled out.